WWII, unshared love and pioneers: Take Two online film festival gives a second chance for movies that were not internationally acclaimed. The latest worthy Russian films that have slipped under the radar of mainstream audiences won’t be lost to history anymore. Take Two online festival organized by Rossiyskaya Gazeta shows those movies online for free and hands out its own awards. This year these movies can be seen from April 5 to 17 in any country around the world. Each will be uploaded on the Internet for 48 hours. Here are the most interesting online premiers with English subtitles. For more information visit d2.rg.ru (link in Russian). A young Jewish boy and Lithuanian girl meet in Nazi occupied Lithuanian Soviet Socialist Republic. This is a tender teenager love set against a background of repressions and the horror of war. They go their separate ways, but meet again many years later, when their lives have changed completely. A drama by prominent Russian director Pavel Chukhray starring the popular actress Yulia Peresild. A young and dreamy man returns to his native city of Ufa after military service. But at home he finds out that his fiancé has not only left him for a wealthy Muscovite, but also sold a family heirloom, the engagement ring he had given her. Forgetting about the feckless woman, he embarks on quest to find the lost ring. The comedy is the debut of 30 year-old director Ainur Askarov. Ufa-born Askarov uses the film as a love letter to his native city, with picturesque shots of the landscape and Bashkir natives. Mikhail Nosov is an ordinary factory worker. He isn't married and hasn’t done anything worthy in his life. He is just a lonely man living between his workplace and small apartment. Once he meets a prostitute that changes his life. This gray-toned movie with sad music is a debut by Alexei Rybin. 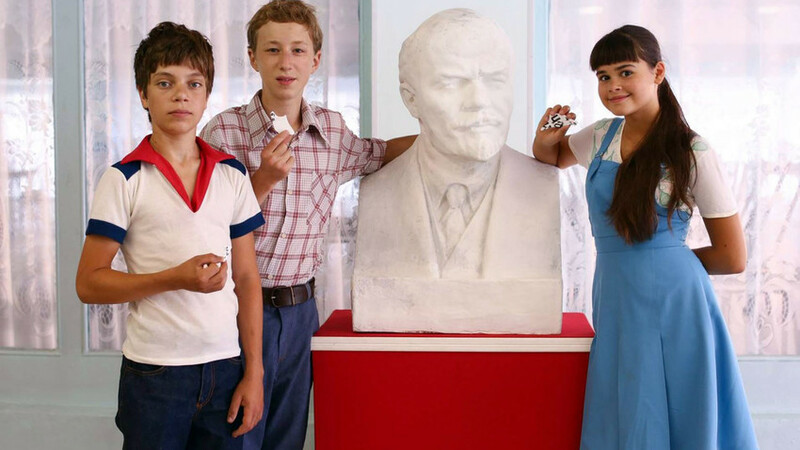 The summer of 1981 and two Soviet boys just graduated from school head off to Moscow to enroll in university. One of them finds the name of his school sweetheart in the list of applicants and they start looking for her throughout Moscow. This is the third comedy by director Alexander Karpilovsky about pioneers and shows how their adventures continue into their young adult lives.